Apple Music: Make Your Own Mixtape! OK, so the jury’s still kind of out on Apple Music. (For the record, I’m a fan so far. Just in case you’re keeping score.) One of the things that’s indubitably awesome, though, is that now we’ve got an easy way to share playlists with other people who are also using the service. This means that you could make sort of a modern-day mixtape, and the recipient will actually be able to play all of the songs you add whether or not he’s purchased them! Neat. Here’s how you do it. 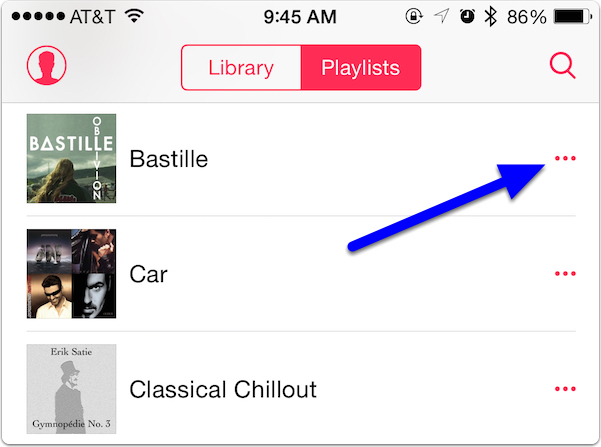 On the iPhone, you’ll open the Music app and tap the “My Music” tab. 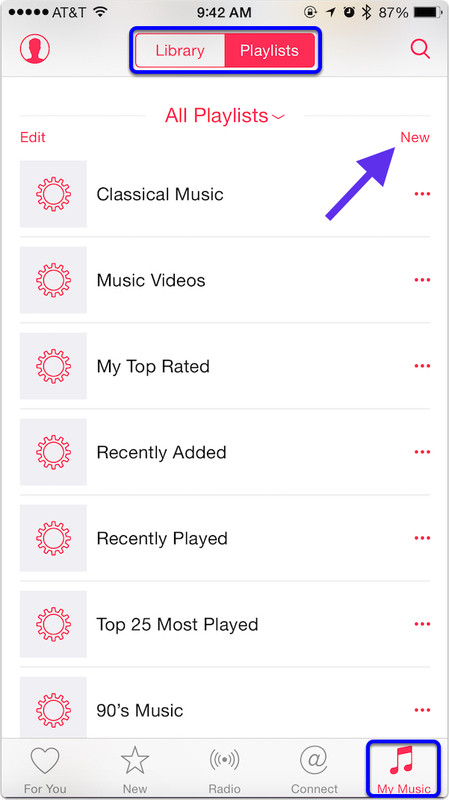 Then select the “Playlists” tab at the top. On the iPad, you can just pick the “Playlists” tab without going to “My Music” first. See that small “New” button I’ve indicated in my screenshot above? 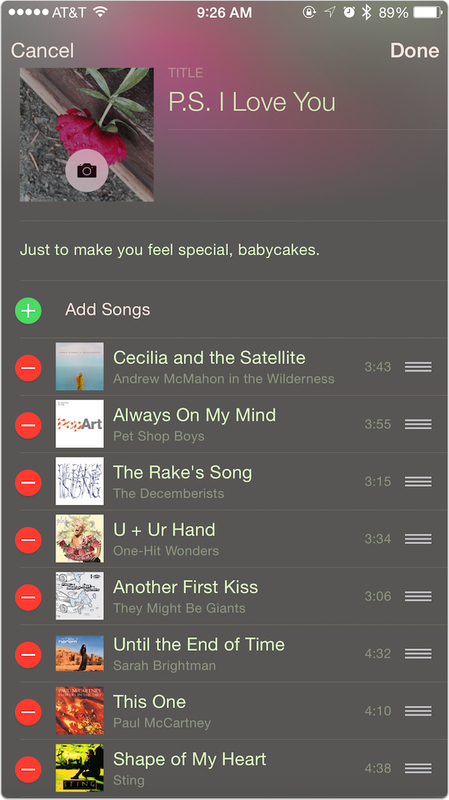 That’s where you’ll start a fresh playlist for your recipient if you’d like to. You can give it a custom title and image, add a description, and so on. Personalize the heck out of it! After you add all of the songs you want, touch “Done.” Then you can share that playlist (or any of your other existing ones) by tapping on the ellipsis icon next to it. Your recipient will get a link through whatever service you chose. 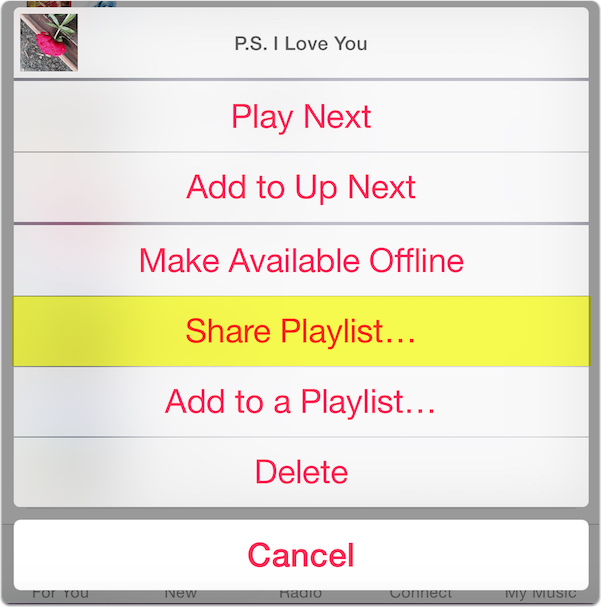 …and select a playlist from the sidebar on the left. 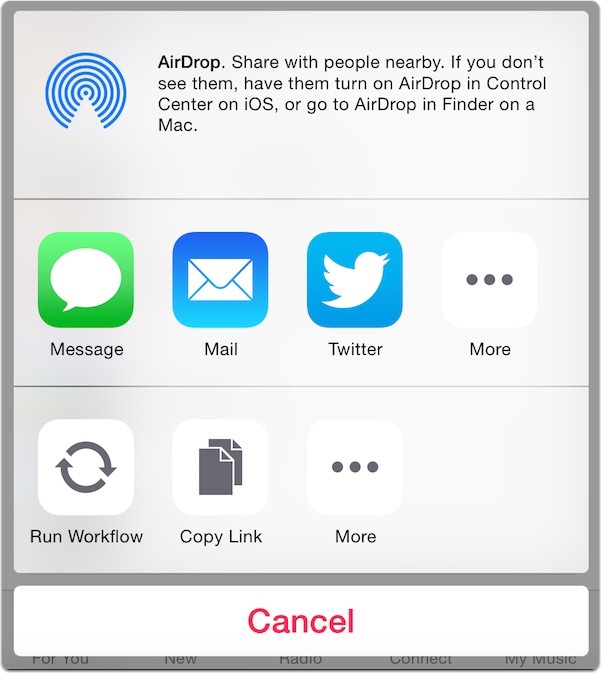 You’ll then see the familiar “share” icon on the right side of the window, from which you can choose your method of sending your creation. That’s so cool! This makes me want to pull out my Sharpies, my label maker, and my old cassettes. You whippersnappers are just lucky that you don’t have to wait for a radio station to play your favorite song to be able to listen to it! If it were OK to use hashtags in professional articles, I’d put a few about being old and cranky right about here.